The Lichtenstein Awards Banquet will be held at The Cornell Club on Wednesday May 8. Download Menu and Reservation application. 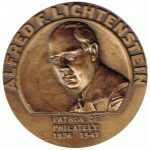 This year, as you have probably heard, we will be presenting the Alfred F. Lichtenstein Memorial Award for Distinguished Service to Philately to Christopher M.B. King of the United Kingdom. Chris’s contribution to the heritage of our hobby, particularly the preservation of philatelic literature, is remarkable. The Board of Governors is honored to announce that Christopher M. B. King of London, England, has been awarded the 2019 Alfred F. Lichtenstein Memorial Award for Distinguished Service to Philately. Let’s start off with the mea culpa. Generally these missives are written several weeks prior to the issue’s cover date. This means that sometimes comments about some activities or results are based on ‘best knowledge’ or ‘project timelines’ which usually are pretty close to how things usually pan out. Thanks to the good graces of our Editor, I can usually slide these writings in after his preferred deadline which helps to minimize unplanned differences between what is written and what actually occurs. 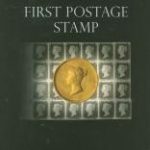 Thanks to a series of deferred promised delivery dates combined with my overly optimistic view of technology, I had publicized the ‘go live’ for the searchable online ‘Collectors Club Philatelist’ before it was actually possible. Now that our technical gurus have completed the actual scanning, conversion, and uploading processes we are very close (if not already live) to fulfilling the promise. Yes, the CCP will be available in a searchable format on our website (www.collectorsclub.org) in the very near future! I take full responsibility for the premature setting of expectations. My hope is that the final results exceed expectations in usability and ease of function. The Board of Governors has decided that more recent content (both journals and videos) are best placed in a ‘members only’ area with older material freely accessible to all. This is a prerogative of membership, yet allows reasonable access for others to enjoy past material. Only a few short weeks ago The Collectors Club participated at the Sarasota National Stamp Exhibition (SNSE). A number of our members live and vacation in Florida, and several were able to help staff our table. Turnout for the Club meeting/presentation was better then expected with several new faces in the audience. The overriding theme was ‘How the Post Office handles major change’. It was noted in the introduction that the Post Office could be both the most traditional, and yet most progressive of organizations. For example, without Post Office support our air transport system would have developed much differently (if at all). I started off with ‘How the Mexican Post Office made the transition from collect to mandatory prepayment of mails’. Wade Saadi then continued the theme by demonstrating how both changes in technology and demand for services drove stamp production as demonstrated by evolution of the U.S. Liberty Series. Larry Haber concluded the program with an insightful presentation on how the British Postal Service dealt with the conversion from Sterling to decimal currency. Each short presentation was self contained, yet demonstrated how a government entity dealt with, and ultimately succeeded in dealing with major change. Several new and reinstatement membership applications were received, and many old friends stopped by our table. A great thanks goes to the SNSE show committee for hosting us, and the volunteers who put their best foot forward during the show. The exhibits were a marked highlight with Dr. Daniel Knowles (U.S. Classic), Larry Haber (U.S. Modern), and Sandeep Jaiswal (Foreign) winning the Collectors Club Multi Frame awards. Please join us at our Annual Awards Dinner on May 8, 2019 at The Cornell Club to congratulate them, and our other deserving awardees.